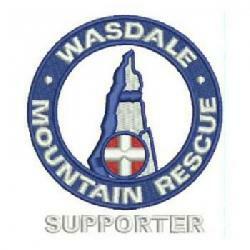 The team were requested to search for a missing walker on Scafell Pike. He was a Russian visitor in his early twenties, last seen by his two friends at in Hollowstones below Mickledore at 1400 hrs that afternoon on his way down. The team were mobilised and the walker and his dog were found shortly after at Brackenclose by the same handler as incident 17b. Shortly after the recall had been put out and as team members were leaving the base at Gosforth, another request for help came in from . This time it was to locate one of the friends of the first missing person who had decided to go and look for the Russian walker on his own. The team were again mobilised and search groups were dispatched to locate the person so that the incident could be properly closed down. The missing person eventually phoned in to say he was safely off the fell and at Cockermouth after deciding to return to Seathwaite, collect the car and drive it round to Wasdale.